Pre-registration: 9 a.m. * Games begin: 10 a.m. 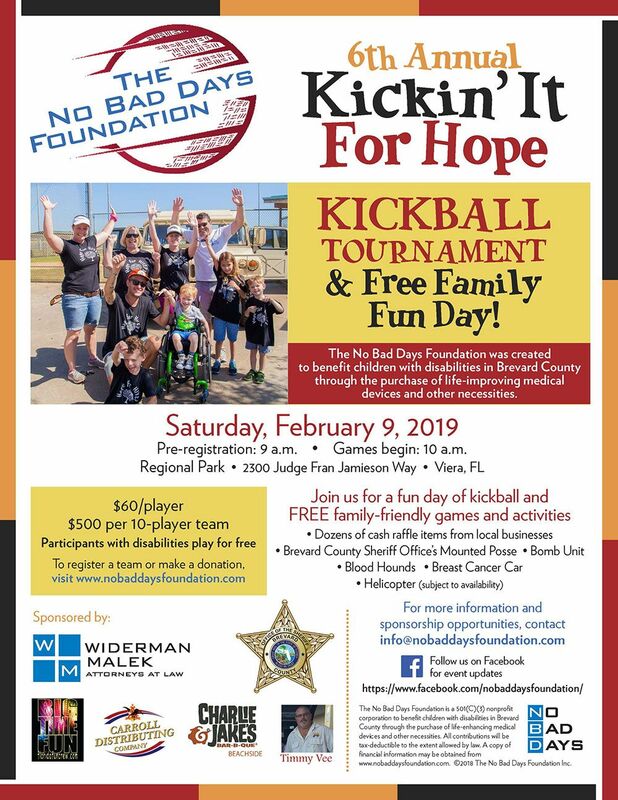 Please come join us for a fun day of kickball and FREE family-friendly activities. Dozens of cash raffle items from local businesses! To register a team or make a donation, visit www.nobaddaysfoundation.com.